Last weekend I attended Dr. Libby Weaver’s wonderful Beautiful You weekend in Sydney, coming away with a head full of information, some restorative yoga poses to quiet the mind and some brilliants tips and tricks for healthier cooking techniques. One thing I fell in love with was the idea of swapping out my usual noodles and pasta for kelp noodles, which take care of everything from supporting the immune system and blood health to promoting an alkaline condition in your body, nourishing the thyroid gland, boosting your metabolism and more. A super food? Yep, you got it. 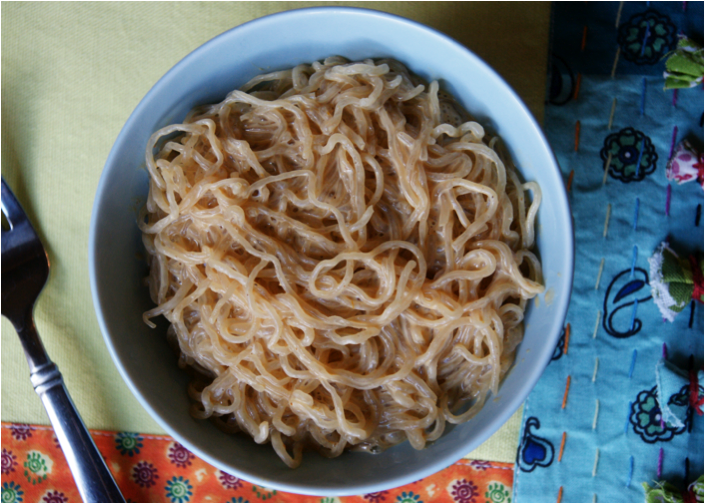 So I was super excited to discover this recipe using kelp noodles and my fave source of sustenance, C Coconut Water. It’s a spicy little number and incredibly quick to make, so the perfect option for a healthy lunch or last minute dinner - just add greens and you’re good to go! 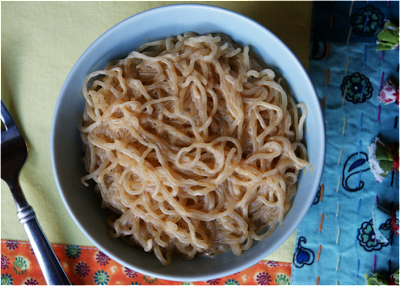 In a medium bowl, soak kelp noodles in purified water for at least 30 minutes. In a blender, combine C Coconut Water, peanut butter, water, curry paste, tamari, and juice of a lime and blend until smooth. Using a fine mesh strainer, strain the water from the kelp noodles. Toss the noodles with the peanut sauce, and serve.